DREAM REALTY has arguably the most technically advanced real estate search engine in the Jacksonville Area. It was founded in 2005 by internet pioneer, Sheldon Goldberg. In 1995, Mr. Goldberg founded Hurl.net, an Internet Service Provider billing and provisioning software company. It was sold in 1999 and became EROGO. Clients included Earthlink, Citrix Systems, Nipon T&T, British Telcom, in addition to approximately 200 smaller ISPs. After his semi-retirement, Mr. Goldberg turned his attention to real estate in 2005. Since its inception, Dream Realty has devoted enormous resoures to creating an exceptional web experience for our users. DREAM REALTY specializes in residential properties: single family homes, condos, villas and townhomes. The vast majority of our clients are either business owners, professionals or athelets. At Dream Realty, we are known for giving exceptional personalized service. We are very careful to protect your privacy and identity. Our websites,www.ClearwaterDreaming.com and www.DreamRealty.com contain more information about properties than any real estate website in our market area. When moving your family, you probably want to know everything about the areas you are considering. Our purpose is to help you make an informed decision with the most relevant data possible. Proprietary Search Engine, users can search by how close properties are to a specified location or point of interest. Results are displayed on a map, by list or gallery. Properietary Home Value Calculator, your home value is calculated based on the most recent sales. Our results are consistently more accurate than Zillow. Public tax information direct from the property appraiser. Date property last sold and for what amount. Last 5 comparable sales. School information from GreatSchools.org. Each school in the zip code with number of students and techer student ratios. Work with knowledgeable, experienced Realtors who listen to what you want. We are here to advise, guide and protect you. Work with our tools online - never get spammed. 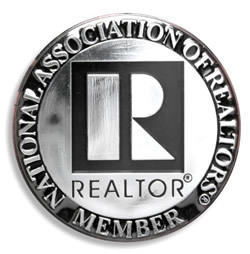 "Dream Realty delivers extraordinary service. We would recommend them in a heartbeat!"